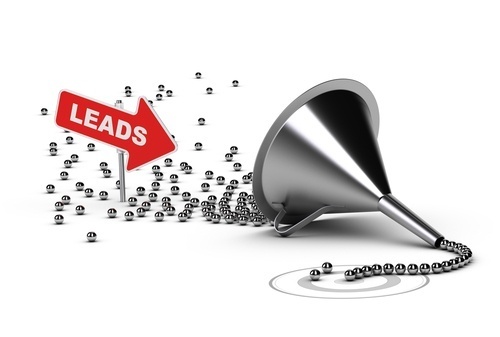 Loads of leads mean loads of sales, right? Not necessarily. Gathering leads just for the sake of gathering leads may make marketers look like wizards on paper, but in reality the tactic can backfire. Your sales team can actually end up wasting colossal amounts of time, money and effort chasing down leads that aren’t up to par. When it comes to leads, quality beats out quantity every time. A single quality lead is much more valuable than a dozen, or even a hundred, poor ones. But your marketing team is not apt to generate high-quality leads unless your marketing efforts are aligned with your sales processes. Marketing and sales may be two different departments, but they’re not two totally independent entities – or at least they shouldn’t be. Put the two together in collaboration, and amazing things can happen. One of the most amazing is the establishment of a solid inbound marketing strategy. Five steps can help ensure your marketing efforts are helping to move prospects through the different stages of the marketing and sales funnel. What percentage of leads has high-quality scores? What’s the ROI of your lead generation campaigns? What type of lead nurturing strategy do you have in place, if any? What’s the breakdown of time your sales team spends nurturing leads vs. actually selling? If your leads are still not up to par, you can go back to any of the five steps and fine-tune as needed. Although quality always wins over quantity when it comes to leads, a strong inbound marketing strategy that combines the efforts of marketing and sales can help ensure you get both.